A page image of the story that ran in today's Middletown Press. 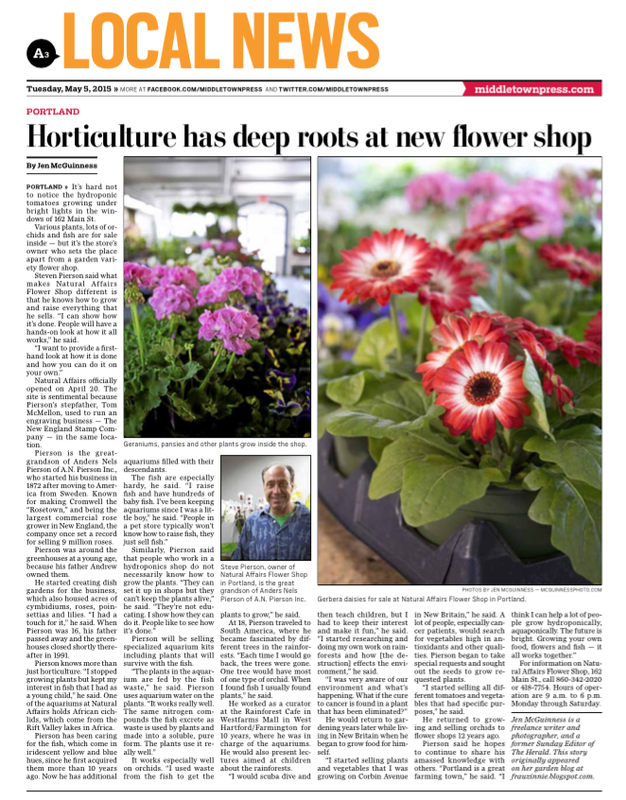 I'm happy to share that The Middletown Press ran my story, "Horticulture Has Deep Roots in New, Local Flower Shop" in their edition today. It is available to view on their website here. It's been about nine years since I had a byline in the newspaper, and I had the same excitement I used to experience as a newbie journalist.